Journaling – Do You Journal? 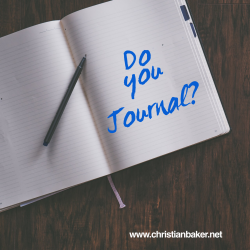 Do you know what journaling is? Coming up, I’m going to share with you what journaling is, the benefits of doing it and how you can use it to help design, create and achieve the life that you want. A journal is a written record of your thoughts, experiences, reflections and observations. It’s an opportunity to track, record and celebrate your daily progress, wins and accomplishments. It’s a great way to clear your mind and get your thoughts out of your head. It’s a great place to track, review and evaluate your goals and your progress, it also gives you a platform to ask yourself questions to reflect and refocus. Most self-improvement and personal development books and professionals will advise you take write a daily journal, the good news is there’s no right or wrong to it, you can find a way that you enjoy. One of the simplest ways to get started is with GEL journaling to ask yourself everyday, asking yourself what are your Grateful for, what have you Enjoyed & Learnt. We get more of what we focus on, so ask yourself empowering focus questions everyday to helps to focus your mind on what you want to achieve and your learnings along the way. As we develop and improve we don’t always notice the progress, one of the other great benefits of doing this, you are also creating your own evidence, so when your having an off day, or need a boost you can look back at your progress and review and remind yourself of just how far you have come. Action step – Yes, you could do it online or via an app, but doing this physically by hand, feels much more powerful and beneficial, so go stationary shopping, get yourself a notepad and start your journaling adventures. Thanks for watching and let me know what action you are going to take after watching this video and please click subscribe and subscribe to my channel to ensure you get all future episodes. Remember – What your mind believes you will achieve – so think differently, believe in yourself, take action and achieve the life you want!